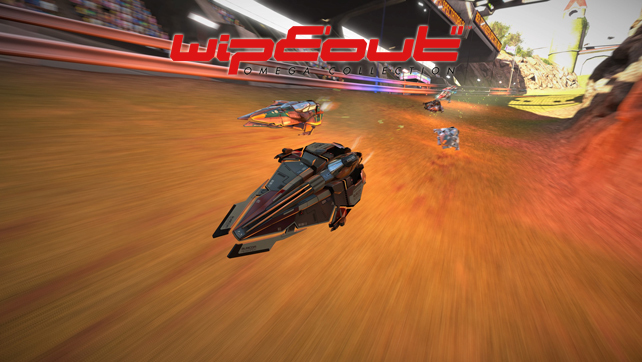 Oh WipEout, you’ve been a staple of our gaming diet for the last 20 years. 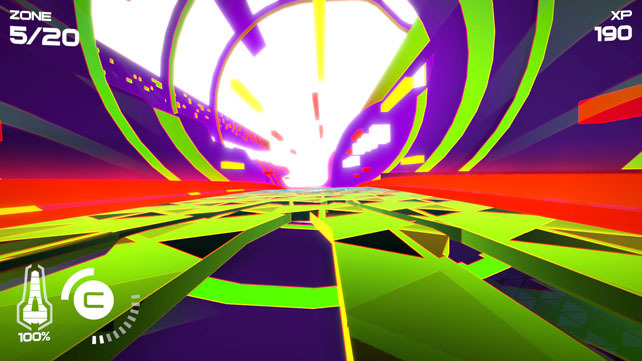 Wowing us with your futuristic setting, thumping beats and frenetic action. We’ve embraced the highs and weathered the lows, and even mourned you when Studio Liverpool was shuttered. Now you’re back, returned from the great gaming beyond, and it’s with joyous hearts and sharpened minds we take you back into the PlayStation fold… even if you are technically just a remaster. 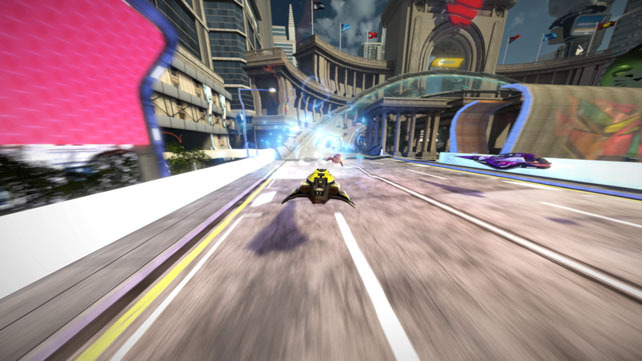 With no change to the handling model or controls, any veteran of the series will jump straight into the WipEout Omega Collection and be nearly at their best. I say nearly because the smoother frame rate and optimised visuals made me feel like I was doing better than I ever had before. A simple check was to take part in a zone event and see where I got to before disintegrating… ding… trophy pinged that I’d never achieved on the other games. It feels sublime and exceptionally responsive, though I’m willing to bet that part of that is down to the DualShock4’s improvements over its older brother and handheld cousin. It doesn’t push out the newcomers though, and keeps the pilot assists that can help people get to grips with the speed of the game, and it steadily ramps up the challenge with a decent curve. Restarts are quick so whether you’re in time trials, speed laps or battle events, not getting top honours is only a button press away. Difficulty level-wise, 2048 has none to select and awards the highest praise based on performance. HD and Fury on the other hand are medal based with bronze, silver and gold, as well as letting you select between different difficulty presets from Novice to Elite. A word of warning here, rebooting the game resets the difficulty, so if you’re playing on Elite and but don’t realise that, you’ll end up having to repeat what you thought were surprisingly easy events. All the game modes and teams return – as should be no surprise as it’s all the games we’ve seen before – and you can tackle them in whatever order you want, as long as it’s in the tournament structure of the respective title. 2048 opens up team use as you progress, and HD/Fury do to some degree as well even though they have a wider starting range; however, it doesn’t take long to find your favourites or get experimenting with the noticeable strengths and weaknesses of each. 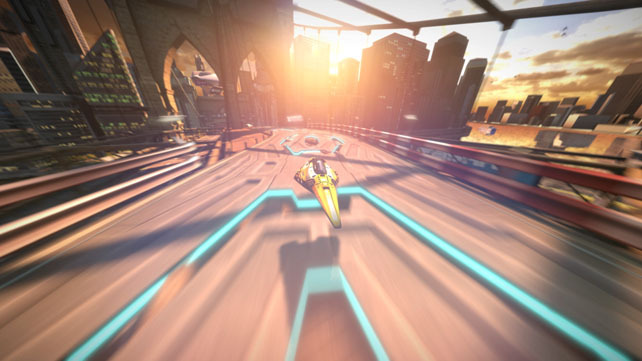 Jumping between the three games available is less jarring than you’d expect, and oddly seems to set in context that despite 2048’s later release, it feels at home as an earlier racing league incarnation. The tracks all run through cities, between skyscrapers and around parks and feel exactly like the birth of a new and exciting sport that’s finding its feet. Races are also longer and more frantic with luck being a strong part of it. Flicking over to HD, it’s got the feel of a sport that’s matured and spread its wings, as well as getting faster and in a more futuristic setting. It’s more about precision and race craft than blasting your opponents off the road. Fury is in the same vein as HD, but it’s basically anti-grav combat so does exactly what you want, blows things up loudly and often; and is a great counterpart to the other two games. Let’s not forget that there’s comprehensive multiplayer and “one more go” encouraging leaderboards thrown at you to spice up the competition. You’re never at a loss for something to do, and the pace at which events fly past means you can fit a lot in during a short game session. 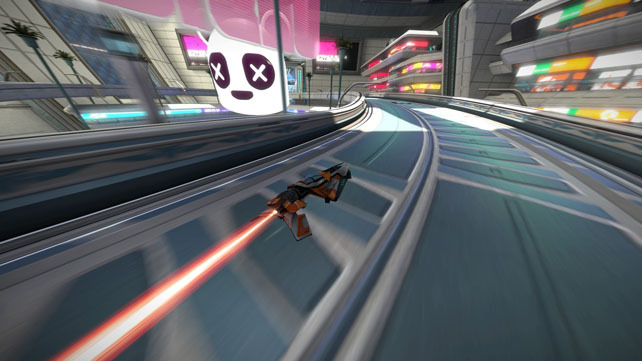 WipEout Omega Collection is pretty much perfect, there’s not really any other way to describe it. Giving us three amazing games at roughly £10 each, it’s a showcase for the PS4 Pro as well as managing to be a nostalgia trip for PlayStation in general. Overlook anyone who just bemoans it as another remaster cash grab, Sony could have simply upscaled the images and pushed this out to the masses. They haven’t. It comes across as a labour of love from the developers, a passion project from the holder of the purse strings, and a must buy for the faithful and non-believers alike. There’s no downside here, except maybe when your eyes dry out because you’ve trained yourself not to blink whilst navigating at mach 1. 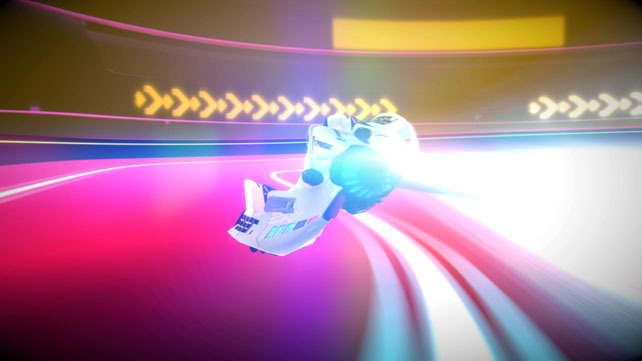 WipEout The Omega Collection is out now exclusively on PS4. Wow perfect score. I’ve only ever played the original on PS 1 way back when. With my aging slow reaction times, I’m not sure I will ever go back. Great review as usual Matt.